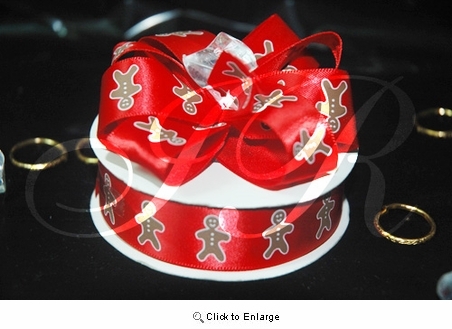 Gingerman, or ginger man satin gift ribbon. 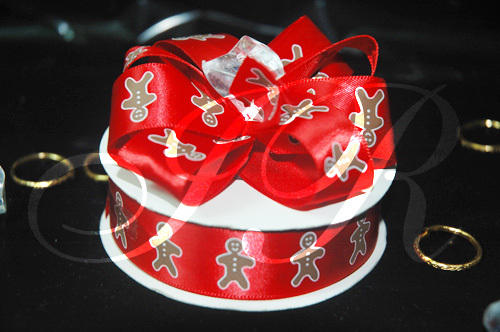 Red ribbon with brown ginger man printed on fine satin ribbon. Adds on for party gift or any event gift wraps.